I’d wanted to blog more again this month, I really did, but it feels like I blinked and the last couple of weeks were gone. I suppose between visiting relatives and Christmas shopping December just got away from me. And that’s a shame, cause I had a very funny satirical piece planned on recent power cuts in South Africa (now, I’m afraid, it’s a bit dated), and of course a review on The Hobbit – Battle of the Five Armies. I’ll still write that review, but probably only in 2015 as we’re with the in-laws this week so there’ll be little time for blogging. Suffice it to say for now that I can heartily recommend it. In my mind, Peter Jackson and his team finally got it right. Not completely, mind you, but it’s good enough that I’ve forgiven him for the first two. But I at least wanted to wish you all a Merry Christmas (at least all of you who celebrate it – those who don’t, the wife and I still wish you the hope and good will we associate with the season). And I got an award. I mentioned previously that I’m not really doing awards any more, for as much as I enjoy getting them, I tend to forget about them, I never know who to nominate, and every time I have to share eleven interesting facts about myself I realise anew how very uninteresting I am. But the very least I can do is give a shout-out to the blogger who nominated me, so here goes. 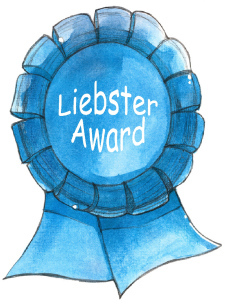 Thanks very much to Belladonna Took for nominating me for the Very Inspiring Blogger Award. With the (ir)regularity I’ve been blogging lately I don’t feel very inspiring (not to mention inspired) but apparently I do it for some people (freaks). While you wait for me to write something decent again, why not go check out Belladonna’s blog, American Soustannie in the meantime (if you’re curious about the name, read the explanation on her about page). She’s a fellow South African (expat, though, but we still love her), and she’s sure to make you laugh. Wow! These are long overdue. Back in July I was nominated for two awards but, as I was on vacation at the time I put them on ice and kinda forgot about them. Time to rectify that.